The Times of Israel liveblogged Sunday’s events as they happened. Defense Minister Avigdor Liberman vows Israel will fight against terrorism with an “iron fist” after an Israeli man is killed in a stabbing attack in the West Bank. “My heart is with the Etzion Bloc. My condolences to the victim’s family. 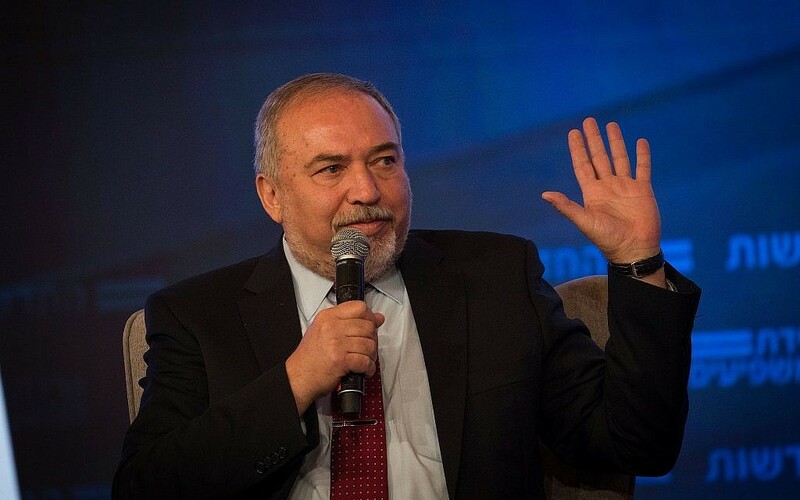 We will continue to fight against terror with an iron fist,” Liberman writes on his Twitter account. 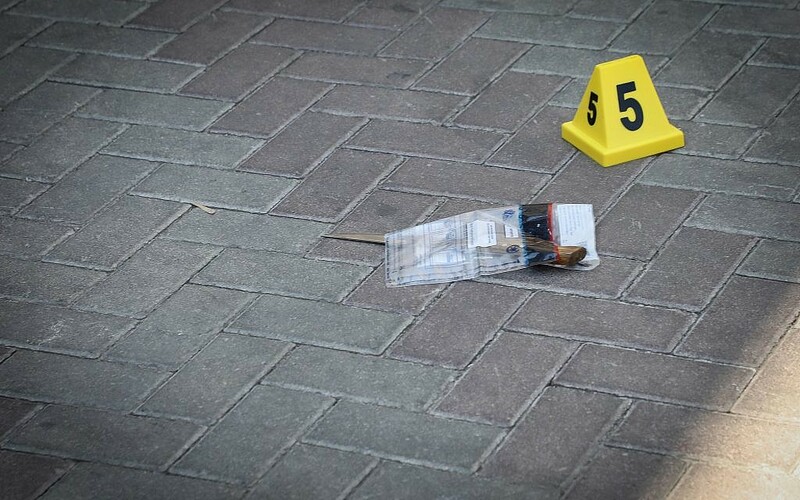 The stabbing victim, whose name has not been released, died after being taken to a hospital following the attack next to the Gush Etzion Junction in the central West Bank. The terrorist, a 17-year-old Palestinian from the village of Yatta, was shot by an armed civilian after attempting to flee the scene and taken into custody. The victim of a terror stabbing next the Gush Etzion Junction in the central West Bank is named as Ari Fuld, a resident of the nearby settlement of Efrat. Fold, 45, was a father of four. He died at a Jerusalem hospital after being stabbed by a Palestinian teenager at a mall next to the junction. Education Minister Naftali Bennett praises terror victim Ari Fuld as a “hero of Israel” for chasing after and shooting at the Palestinian teenager who fatally stabbed him in the West Bank. “In his death he saved life,” Bennett, who heads the national religious Jewish Home party, writes on his Twitter account. “With a stab wound in the back he ran, drew his gun and fired before collapsing, just to make sure the terrorist would not continue to hurt others,” adds Bennett. Other politicians from across the political spectrum also hail Fuld as a hero. Labor Party leader Avi Gabbay calls on Prime Minister Benjamin Netanyahu to open an investigation into an unnamed senior Israeli official who allegedly worked with Paul Manafort, US President Donald Trump’s former campaign manager, to spread accusations of anti-Semitism by an Ukrainian opposition leader. “It can’t be that an incident like this passes through our hands without being dealt with and it can’t be that we accept that someone in the service in the state works for foreign actors, whether for payment or not,” Gabbay, who heads the opposition Zionist Union faction, writes on his Twitter account. The involvement of a senior Israeli official in Manafort’s work for former Ukrainian President Viktor Yanukovych was revealed in court documents filed Friday as part of a plea deal with special counsel Robert Mueller, who is investigating alleged Russian meddling in the 2016 US presidential campaign. Prime Minister Benjamin Netanyahu suggests lowering the electoral threshold for a party to enter the Knesset to 2.75 percent, after it was raised by a government he headed just four years ago. “I’m raising the possibility of lowering the electoral threshold by half a percent. This must be with the agreement of everyone. Without such agreement we won’t move forward on the matter,” Netanyahu tells coalition leaders, according to a statement from the Likud party. The threshold was raised from 2% to 3.25% in 2014, preventing smaller parties that don’t gather the requisite number of votes from entering the Knesset. Critics at the time argued the move was meant to prevent Arab parties that barely pass the threshold from being elected, while supporters said it would inject stability into Israel’s fractious coalition politics. With a number of his coalition partners hovering around the electoral threshold in polls, lowering it could help Netanyahu cobble together another government following the next elections, which are currently scheduled for November 2019. The funeral for Ari Fuld, who was killed in a terror stabbing in the West Bank, will take place at 11:30 p.m. tonight at the Kfar Etzion settlement. Fuld, a father of four from Efrat, was stabbed to death earlier today by a Palestinian teenager at the Gush Etzion Junction in the central West Bank. A spokesman for the Hamas terror group praises the deadly stabbing attack in the West Bank earlier today. “We bless the stabbing operation in Bethlehem that took place in parallel to our people’s sacrifices in the marches of return and that affirms the continuation of our people’s Jerusalem intifada and its legitimate right in practicing resistance against the occupation in all of its forms,” Hamas spokesman Abdelatif al-Qanou writes on his Facebook account. According to the Israeli military, a 17-year-old Palestinian from Yatta, a village south of Hebron, fatally stabbed an Israeli man at the Gush Etzion Junction in the central West Bank. 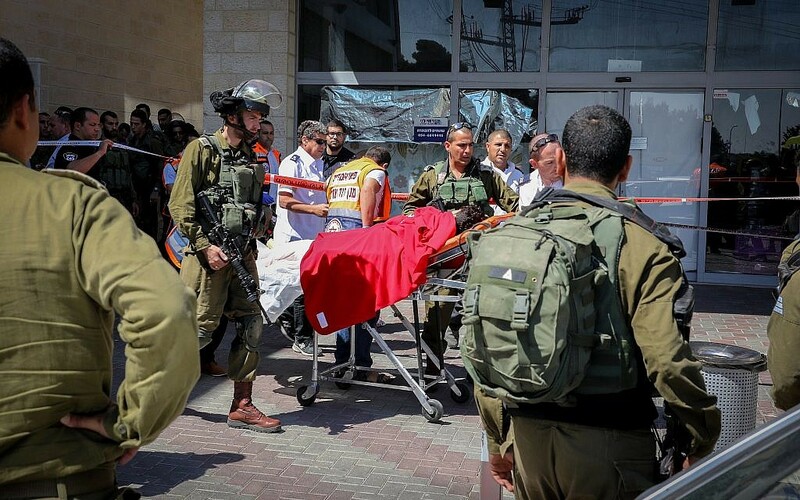 The man, who subsequently succumbed to his wounds at Jerusalem’s Shaare Zedek Medical Center, was later identified as 45-year-old Ari Fuld of the nearby settlement of Efrat. Former US ambassador to Israel Dan Shapiro condemns the fatal stabbing attack in the West Bank earlier today and sends his condolences to the victim’s family. Deepest condolences to the family and loved ones of Ari Fuld, murdered in Gush Etzion today. The attack was an outrageous act of terrorism, which should be loudly condemned by all. May Ari's memory be a blessing and a source of comfort to his family and community. US Ambassador to Israel David Friedman mourns the death of Ari Fuld, an Israeli-American killed earlier today in a terror stabbing in the West Bank. America grieves as one of its citizens was brutally murdered by a Palestinian terrorist. Ari Fuld was a passionate defender of Israel & an American patriot. He represented the best of both countries & will be deeply missed. May his family be comforted & his memory be blessed. Yosi Havilio, a long-shot candidate for Jerusalem mayor running on a secular ticket, announces he’s quitting the race and throws his support behind Ofer Berkovitch, one of the leading contenders. “I decided to put the good of Jerusalem over my own and remove my candidacy for mayor,” Havilio writes on his Twitter account. “As part of my discussions with Ofer, we agreed together that we must continue to maintain a free and pluralistic Jerusalem,” says Havilio. 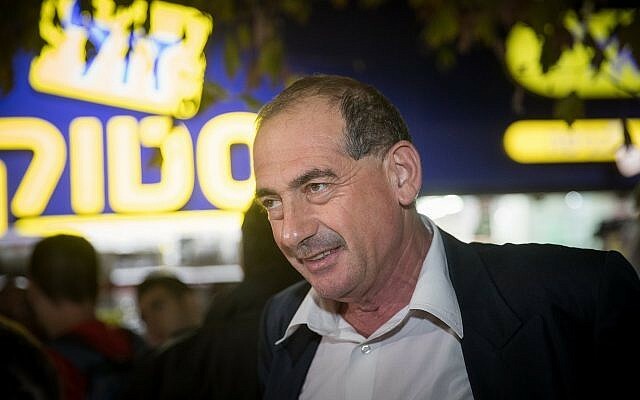 Despite backing Berkovitch for mayor, Havilio calls on Jerusalemites to vote for his Saving Jerusalem list for the city council. Prime Minister Benjamin Netanyahu mourns an American-Israeli man killed in a fatal terror attack by a Palestinian teenager in the West Bank. The family of a Palestinian teenager who fatally stabbed an Israeli-American man in the West Bank warned Israeli security forces ahead of the attack. 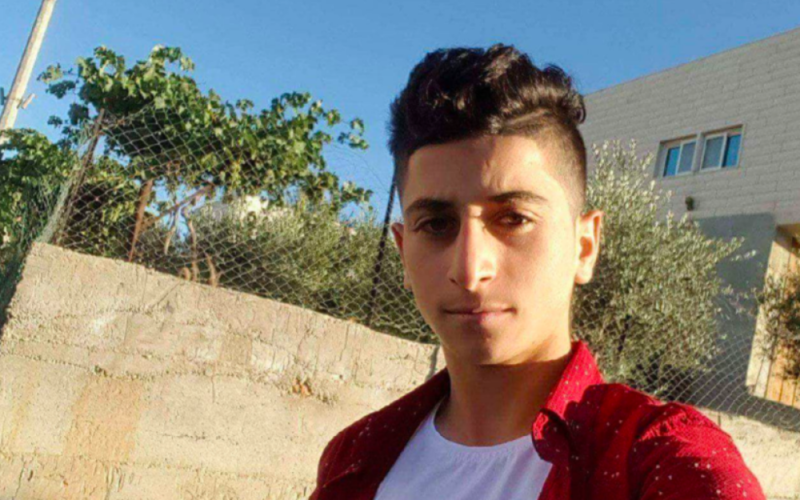 The mother of the assailant, who was named by media as 17-year-old Khalil Jabarin, showed up at the Meitar Crossing in the southern West Bank just before the stabbing and told soldiers she was worried he may carry out an attack but didn’t know where, Channel 10 news reports. Jabarin’s grandfather also says the family warned Palestinian and Israeli security forces after the teenager did not come to school this morning. President Reuven Rivlin says Israel won’t give in to terrorism after American-Israeli Ari Fuld was killed in a stabbing attack earlier today in the West Bank. “The struggle against terror is a long and difficult one, but the State of Israel won’t be deterred by it,” Rivlin says in a statement to Hebrew media. “Like Ari, who displayed tremendous courage and fought until his last moment, we also will chase after its perpetrators in every way,” he adds. A lawyer for a French-American university professor who was arrested during a protest at a West Bank Bedouin village set to be razed says she was told by police he’ll be deported from Israel. “Live thieves in the night, instead of brining Frank Romano to a hearing scheduled at 4:00 p.m. in Jerusalem for my request to release from custody, without informing me or the court the police transferred him to immigration [authorities] to be deported,” Gaby Lasky writes on Twiter. “Now it is clear why they arrested him under military law — in order to give themselves time to deport [Romano] before he sees a judge,” she adds. 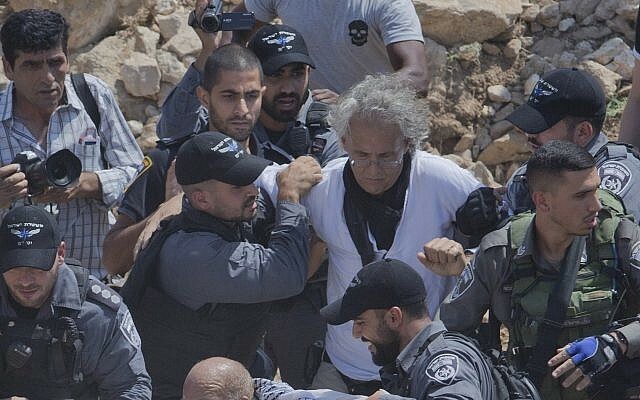 Romano was arrested Friday during scuffles between Israeli forces and demonstrators at Khan Al-Ahmar, whose pending demolition has been condemned by the Palestinians and the European Union. Incendiary balloons launched from the Gaza Strip spark three fires in the Be’eri forest in southern Israel, a spokesperson for the Fire and Rescue Services says. The flying of flaming airborne devices toward Israel has become a commonly used tactic in months-long clashes along the Gaza border, though the frequency of launches has significantly decreased of late. The Palestinian Liberation Organization’s envoy to the US and his family have reportedly had their visas revoked and bank accounts closed by American authorities. The Ynet news site quotes Husam Zomlot as saying the move is part of the Trump administration’s pressure campaign against the Palestinians. There is no immediate confirmation from the State Department. The US earlier this month announced it would close the PLO’s mission in Washington over the Palestinians’ rejection of American efforts to broker a peace with Israel. Zomlot, who was recalled to Ramallah amid tensions between the US and Palestinian Authority, said last week that the PLO was given a month to shutter its mission in the US capital. The United States has cut additional aid to the Palestinians for programs supporting conflict resolution with Israelis, an official confirms Sunday, adding to more than $500 million in other cuts. The latest cuts come from $10 million in programs on reconciliation involving Palestinians as well as Jewish and Arab Israelis. The portion of the money involving Palestinians in the West Bank and Gaza Strip was being redirected to programs between Jewish and Arab Israelis, a US Embassy official says. It is not clear how much of the $10 million was being redirected. US officials also cannot confirm whether the latest cut meant all non-security related aid to the Palestinians has now been eliminated. “As announced in August, the administration redirected more than $200 million that was originally planned for programs in the West Bank and Gaza,” a US embassy official says. The official says the portion involving Palestinians in the West Bank and Gaza would be used “to enhance” programs in Israel instead. Clashes break out in Qalandiya in the northern West Bank after a bus full of Israeli security forces entered the city apparently by accident, according to Palestinian media. Photographs from the scene show the military-style bus surrounded by people and other vehicles. According to reports, additional Israeli security forces were called into the area to help the bus exit the city. There are no confirmed reports of injuries on either side. The Islamic Jihad terror group releases a statement praising the fatal stabbing attack in the West Bank earlier today, according to the Islamic Jihad-linked Palestine Today. Earlier on Sunday, a 17-year-old Palestinian from Yatta, a village south of Hebron, stabbed an American-Israeli man at the Gush Etzion Junction in the central West Bank. 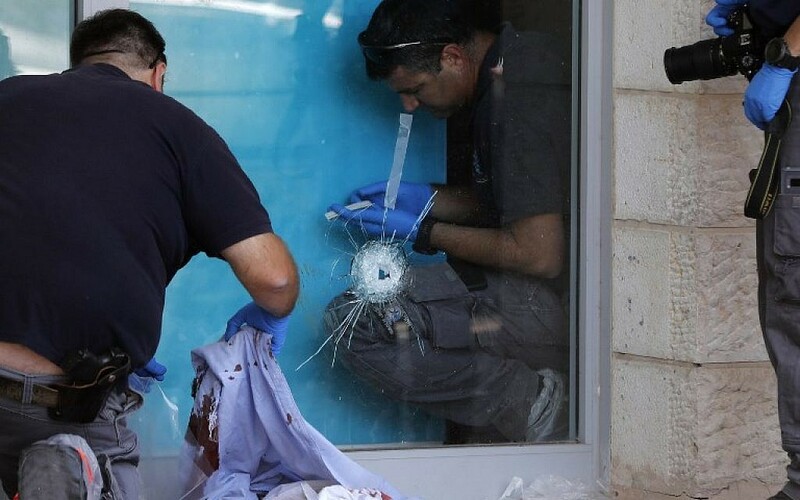 The man, who succumbed to his wounds at Jerusalem’s Shaare Zedek Medical Center, was later identified as Ari Fuld, a 45-year-old father of four from the Efrat settlement. The European Union’s ambassador to Israel condemns the fatal terror stabbing in the West Bank earlier today and sends his condolences to the family of the victim. “There can be no justification for violence and terror,” Emanuele Giaufret writes on his Twitter account. My condolences to the family of the Israeli civilian victim of a stabbing attack in the West Bank today. There can be no justification for violence and terror. 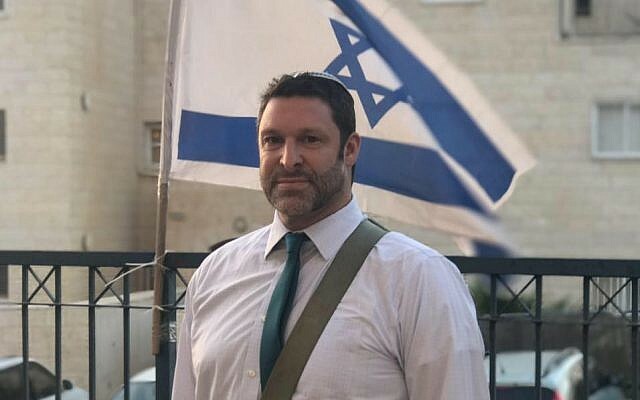 US peace envoy Jason Greenblatt mourns the death of Ari Fuld, an American-Israeli, who was fatally stabbed earlier today in a terror attack in the West Bank. Words cannot express our feeling of loss as an American-Israeli, Ari Fuld, was stabbed to death by a Palestinian terrorist. In Ari's last breaths, he heroically immobilized the terrorist, saving many other lives. Our thoughts and prayers are with Ari's family & his loved ones. Three soldiers are lightly injured by rocks thrown at them by Palestinians during clashes that broke out after the bus in which they were traveling entered the Palestinian city of Qalandiya in the central West Bank, the army says. The one female officer and two male soldiers have been taken to the hospital for treatment. There are no immediate reports of Palestinian injuries. The army says it is investigating why the bus entered the Palestinian city. Once inside Qalandiya, the bus was quickly surrounded and local residents began throwing rocks at it. In response, IDF troops fired gunshots into the air to break up the crowd. The bus was then able to exit the city. Defense Minister Avigdor Liberman announces he will freeze the establishment of an IDF parole board for Palestinians given life sentences by West Bank military courts. A statement from Liberman’s office says he will hold a “comprehensive discussion” on the matter with the IDF, top military prosecutor and the legal adviser for the defense establishment. Earlier today, Liberman vowed to block the early release of convicted Palestinian terrorists after the Yedioth Ahronoth daily reported the IDF would soon publicize details of an order to set up the parole board, which would require a change in the law. Liberman’s opposition to shortening the sentences of Palestinians serving life sentences for terror charges was later echoed by Prime Minister Benjamin Netanyahu. Defense Minister Avigdor Liberman has asked Israel’s justice minister to formally request that the US reveal the name of an Israeli official who allegedly worked with US President Donald Trump’s former campaign manager to spread accusations of anti-Semitism against an Ukrainian opposition leader, Hadashot TV news reports. The involvement of a senior Israeli official in Manafort’s work for former Ukrainian President Viktor Yanukovych was revealed in court documents filed Friday, as part of a plea deal with special counsel Robert Mueller, who is investigating alleged Russian meddling in the 2016 US presidential campaign. The Haaretz daily reports it was told by Mueller’s team that it cannot reveal the identity of the Israeli official, as the individual in question has not been charged with a crime and therefore cannot be named. Liberman has strongly denied speculation he was the Israeli official who worked with Manafort after reports noted a 2012 statement issued when he was foreign minister making similar allegations of anti-Semitism against Yulia Tymoshenko, as those US court documents said Manafort helped spread. Border Police officers arrest three Palestinian men suspected of taking part in a riot in the Qalandiya refugee camp in which three IDF soldiers and one border guard were lightly injured after the bus they were travelling in entered the refugee camp. According to the Border Police, one of the suspects was from Qalandiya, another from nearby Ramallah, while the third did not have identification papers in his possession at the time of his arrest. The wounded Israeli troops were taken to Jerusalem’s Shaare Zedek Medical Center for treatment, a spokesperson for the hospital says. Palestinian Authority President Mahmoud Abbas affirmed the Palestinians’ commitment to achieving peace and peaceful protest in a meeting with former Israeli lawmakers, the official PA news site Wafa reports. Abbas welcomed a delegation of past Israeli lawmakers to the PA presidential headquarters in Ramallah Sunday evening, including former Justice Minister Yossi Beilin. “The president of the State of Palestine Mahmoud Abbas affirmed the Palestinian side’s commitment to achieving peace and peaceful, popular resistance because killing, settlements, destroying and uprooting people will not achieve peace and security for any party in the region,” the Wafa report says.